In case you cannot tell from my collection of Pinterest boards, I love rugs. Area rugs are my thing! There is nothing in my opinion that grounds a furniture grouping and a room like an area rug. Rugs add color, texture, pattern and interest. When I start a new room design, the first item I look for is a rug. I build the room and color palette from the floor up. 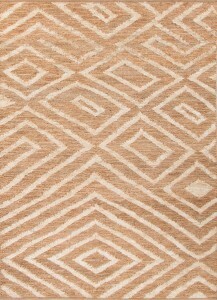 Thus, I am always on the lookout for new, interesting and unique rugs for my design projects. 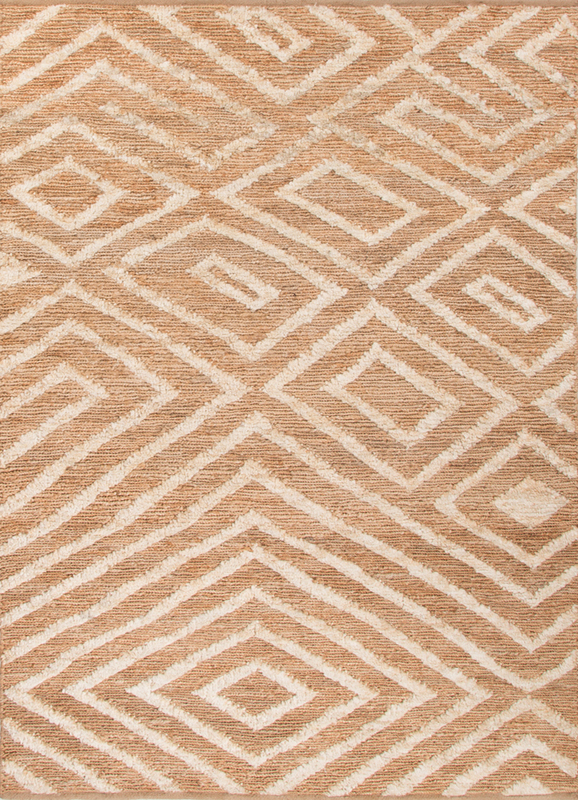 This week’s online interior decorator find of the week is from Jaipur Rugs. Jaipur is one of my favorite rug companies because of their awesome rug designs not to mention their impeccable customer service. 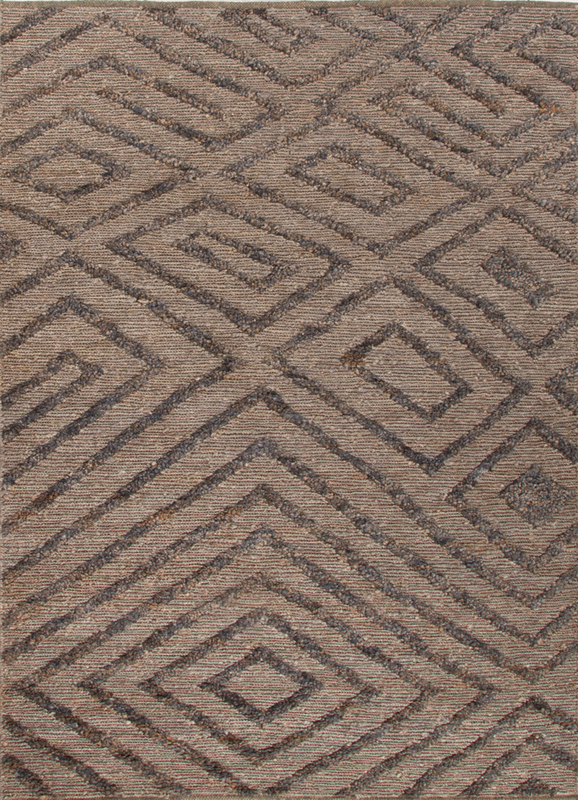 This new rug, Luxor by Nikki Chu, is made of 100% jute and is available in three colors. 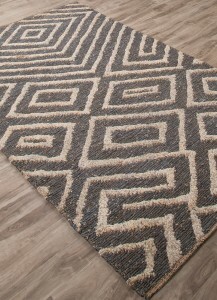 What makes this rug special to me is the asymmetrical and over scaled pattern! And the unique color names are pretty great too: China Blue & Silver Lining (my pick), Limestone & Indian Teal and Sand & Angora. 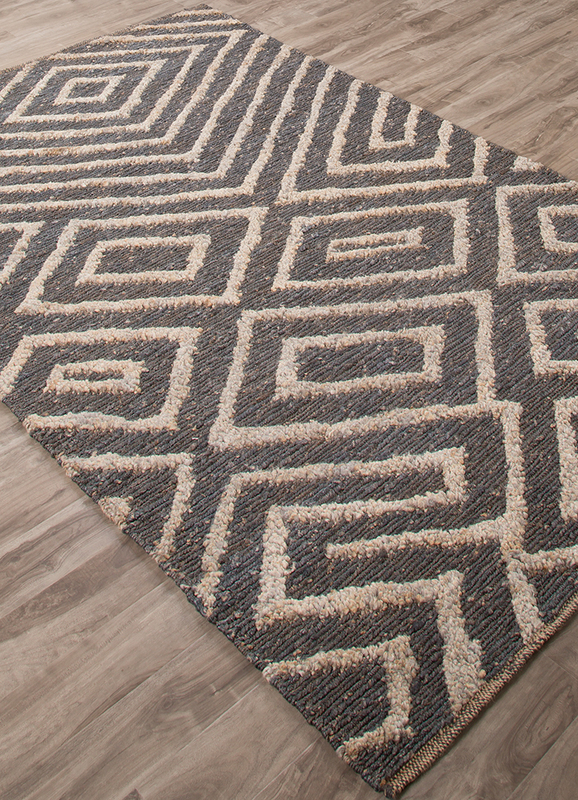 Are you rug fanatic too? 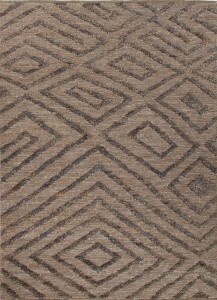 Follow my Pinterest board Rugs We Love to see more.